Hic! There's one.... Hic! There's another.... Hic! It never seems to stop! 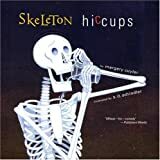 They can be so annoying - what causes hiccups? In short, the diaphragm is to blame for those annoying hiccups. The diaphragm is a dome-shaped muscle at the bottom of our chests, and most of the time it works perfectly. Once in a while, however, it gets irritated, and pulls down in a sudden, jerky manner. When this happens, you breathe in air very quickly and that rushing air hits your voice box - making that "Hic!" noise. So when we're looking at the root of the matter, we need to point our fingers at the diaphragm. What makes it get irritated all of a sudden? There are some common causes that can make it get irritated, including eating, drinking and being stressed. Most hiccups happen after eating a big meal. Other times you might be nervous or excited. 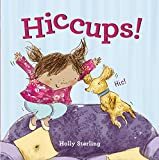 The good news is that hiccups are relatively socially acceptable, unlike other involuntary bodily noises! Hiccups generally cause people to giggle, rather than look at you disapprovingly. Other good news is that hiccups generally go away on their own after some time. On very rare occasions, hiccups can be serious and last more than 48 hours. In these cases, you need to go to a hospital for treatment. If you go to a hospital or doctor, they will usually ask some questions about your medical history first. Some illnesses such as pneumonia and electrolyte imbalance are linked with long-term hiccups. The medical cures for hiccups include anesthesia, surgery or drugs. Of course, long-term hiccups are very rare and most hiccups will not last more than 48 hours. Most hiccups are short-term and do no more damage than causing a bit of annoyance for the person afflicted with them and amusement for others watching him or her. If your hiccups are being annoying, there are some home remedies you can try. The most common one is to drink a big glass of water. Other people like to hold their breath for as long as they can. Another home remedy is to place a sugar cube under your tongue. Some other home remedies include sitting with your knees pressed against your chest, sucking on a lozenge, sipping ice cold water, breathing into a paper bag, biting a lemon, having some vinegar or compressing your chest.